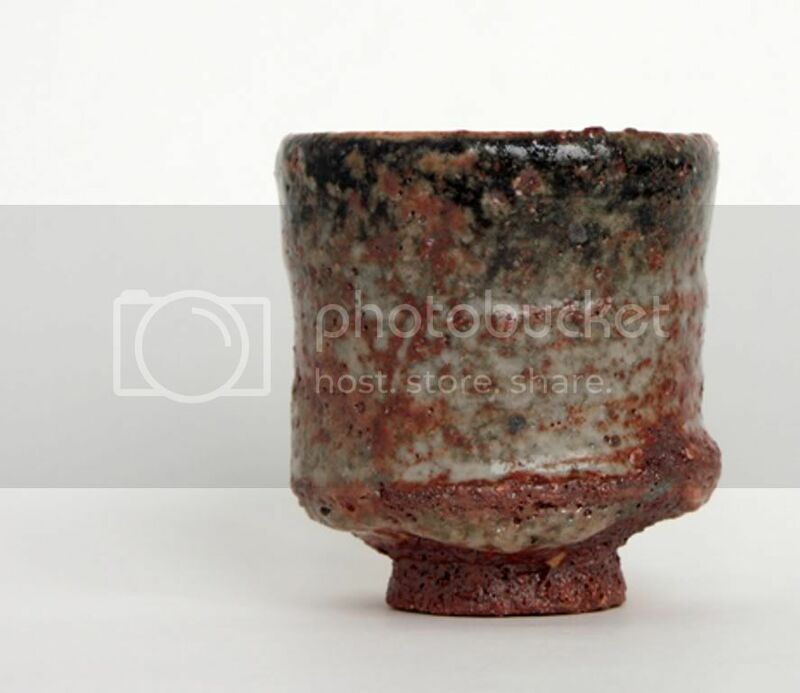 "My relationship to the tea culture begun long before my first clay work had seen the light of day. 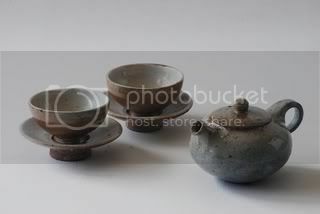 So I naturally came to ceramics with a focus on the ceramics used in the tea ceremony. Good pottery is as essential to the tea as much as the pure water and good company. On my journey I am searching for the links between the natural look of the wabi style and traditional European techniques. I use fire, the Phoenix, who gives my vessels character and life." As I drink tea and as I fire tea wares I have still more things to handle and to learn than I have managed and I have learned. So I hope that be the part of this community will help me to learn more and I also hope that sharing my experiences will help community. Please turn a blind eye on my English but ask on what ever you are interested in. Last edited by Petr Novák on Feb 20th 10 7:32 am, edited 2 times in total. Beautiful! I love the matching chataku. Very nice, welcome to our community! Welcome to our TeawareArtisans, Petr! I am sure we are all very anxious to see more of your works. You can also post photos through a photo host account such as photobucket. Please let me know if I can assist you in any way. http://s775.photobucket.com/albums/yy35/Petr_Novak/ . I will edit it and put more there...Does it works like that? If you will have interest in some particular piece -I mean techniques, history or inspiration- please do not be afraid to ask. I was viewing your photobucket! Now you will need to resize the photos, click on the img code and copy and paste it to your posts. Your photos will appear here! I tried to do one, but the image is too large to post on the forum, should be 640 pixels wide maximum. So, try resizing now under edit. This is how your img code will appear ... I added *** so the photo will not actually post (which it will not now anyway since it is over 800 pixels wide). Hi, you have resized this photo. Here is what the correct image code will look like, but I added *** so you can see it. The second one shows the photo when I used your PB image code. Oh, one other alternative, your site photos are jpg photos, url ending in "jpg." You can post them this way also, but the photos are a too big for many browsers including IE. They should be be 640 pixels or less (although I have the forum set for larger while some glitches are being worked out). So, on my screen, the right side is cut off. Ultimately the forum will again be set for 640 pixels wide, but smaller is even better. The big downside to this, the url ever changes, which it sounds like it will, the photo will no longer show on the forum. And here it is without the *** in the img code. And here is also porcelain with celadon glaze inside and outside is sieved oak ash. Last edited by Petr Novák on Feb 19th 10 11:15 pm, edited 1 time in total. 500 wide seems to work out well on all browsers. Yay, seems you got it. Play around with it, if you mess up, you can always hit edit above your post and try again. Just keep in mind, whatever url you are using whether it is photobucket or your site, if you change the img/url, TeaChat will not display the photo until you supply the new/correct img/url. Those are some beautiful pieces. Welcome, I really like the teapot above. Nice! Thank you. This teapot was from these you are not happy to sell, if you know what I mean. The fire had blessed it. Very beautiful pieces! I love how you've combined eastern and western styles.